(18/P086) TRENTON – During a summit today at Monmouth University in West Long Branch, Commissioner Catherine R. McCabe announced that the New Jersey Department of Environmental Protection is launching work on a comprehensive plan to make coastal areas more resilient to the impacts of severe storms and sea-level rise. The Coastal Resilience Plan will become a blueprint for protection of property, lives, infrastructure and natural environments by guiding policies, regulations, resources and funding. Responding to climate change and reducing its impacts is a DEP priority. More than half of the state’s residents live in coastal areas. Under Governor Phil Murphy, New Jersey is resuming its national leadership role in the fight against global warming and sea-level rise, committing to a 100-percent clean energy future and rejoining the Regional Greenhouse Gas Initiative. 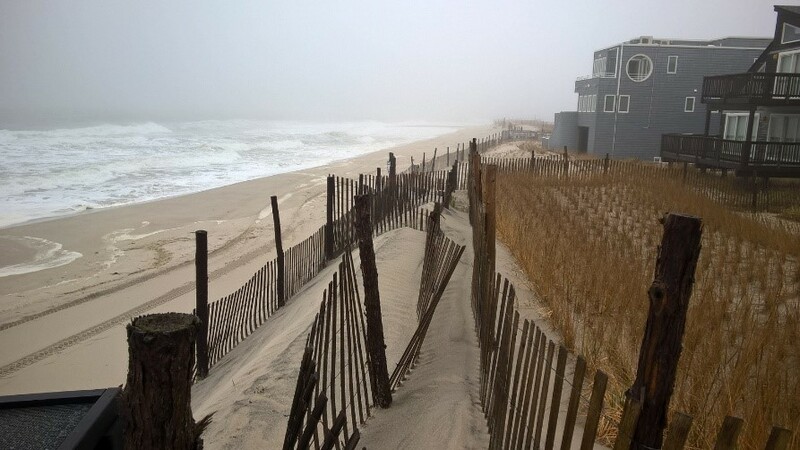 Commissioner McCabe stressed that the resilience plan will ensure all of New Jersey’s coastal communities adapt to sea-level rise effectively – including the highly urbanized areas around Raritan and Sandy Hook bays, the coastal headlands of Monmouth County, the barrier islands of central and southern New Jersey, and the Delaware Bay region. Over the next year, the DEP will conduct extensive outreach to gather stakeholder input as well as advice from coastal scientists and environmental leaders. The DEP has launched a Coastal Resilience Plan website to provide important updates on the plan and other information, including meeting dates and research projects. The DEP is concurrently developing a planning support system that will help inform the development of coastal resilience strategies and funding. This dynamic system will reveal the relationships of environmental, economic, and social factors that must be considered for efficient and effective risk management in a changing coastal environment. 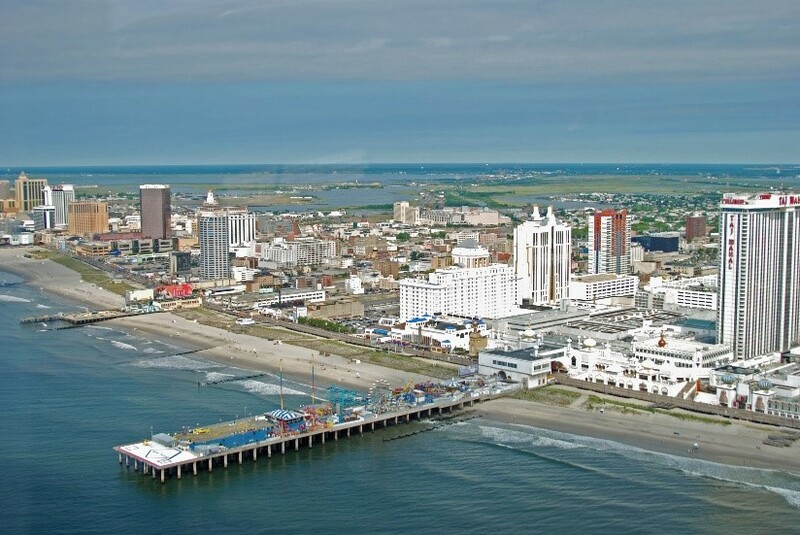 Toward these goals, the DEP announced the award of grants of up to $200,000 each for four regional planning teams to identify and implement innovative solutions to coastal and river flooding. Grants were awarded to teams comprised of local officials and community groups in Hudson and Essex counties, Middlesex County, Long Beach Island, and Atlantic City and its neighboring communities. Each team will be responsible for identifying regional assets, setting resilience priorities, selecting a community-supported comprehensive resilience and adaptation strategy, and implementing actions from that strategy. Funding for the regional planning grants comes from the U.S. Department of Housing and Urban Development’s National Disaster Resilience grant program. Jersey City Team – Jersey City, Newark, Hoboken, Bayonne, the HOPES Community Action Partnership and the Ironbound Community Corporation. Middlesex County Team – Middlesex County Office of Planning, Old Bridge, Perth Amboy, Sayreville, South River, Woodbridge and the Lower Raritan Watershed Partnership. Long Beach Island Team – Long Beach Township, Barnegat Light, Beach Haven, Harvey Cedars, Ship Bottom, Surf City and the Long Beach Island Community Center. Ventnor Team – Brigantine, Atlantic City, Ventnor, Margate, Longport, Northfield, Pleasantville, Atlantic County and the American Red Cross. The grants were awarded on a competitive basis to regional teams made up of at least three contiguous municipalities and at least one community-based organization. Counties, regional planning commissions and utility authorities were also eligible to participate. Regional teams had to be located within Atlantic, Bergen, Cape May, Essex, Hudson, Middlesex, Monmouth, Ocean, or Union Counties to be eligible. These were the counties included in the federal disaster declaration resulting from Superstorm Sandy. Regional teams will be partnered with multidisciplinary consulting teams to identify important community assets, assess vulnerability to future flooding along the coast and from rivers, identify actions to reduce flood risk, evaluate these options using a detailed cost-benefit analysis, and develop regional resilience and adaptation action plans. As part of this program, funding will be available to implement some of these planning actions. The DEP has also recently received a $226,000 grant for a Project of Special Merit from the National Oceanic and Atmospheric Administration to improve on the methods that are used in resiliency planning to address the needs of underrepresented and socially vulnerable populations.